Los Angeles Commercial Loans | CalStar Mortgage, Inc.
CalStar Mortgage provides commercial property mortgages for office buildings, retail centers, industrial facilities, warehouses, and non-conventional commercial projects in La Canada Flintridge, Beverly Hills, West Hollywood, Encino, Sherman Oaks and all of California. CalStar Mortgage will close transactions that other firms pass over. 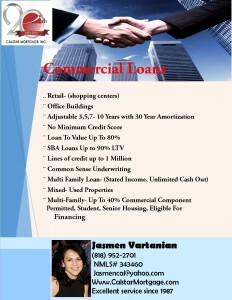 A Commercial Loan is a mortgage specifically for a commercial purpose. There are different types of commercial loans. Stated income loans are a type of commercial loan. No documentation loans are a type of commercial loan. Bridge loans are a type of commercial loan. There are several requirements you will need to meet to get a commercial loan. Commercial loans can be a great choice for many different types of borrowers including those looking to purchase investment properties. CalStar Mortgage offers great rates and flexible payment options on commercial loans. 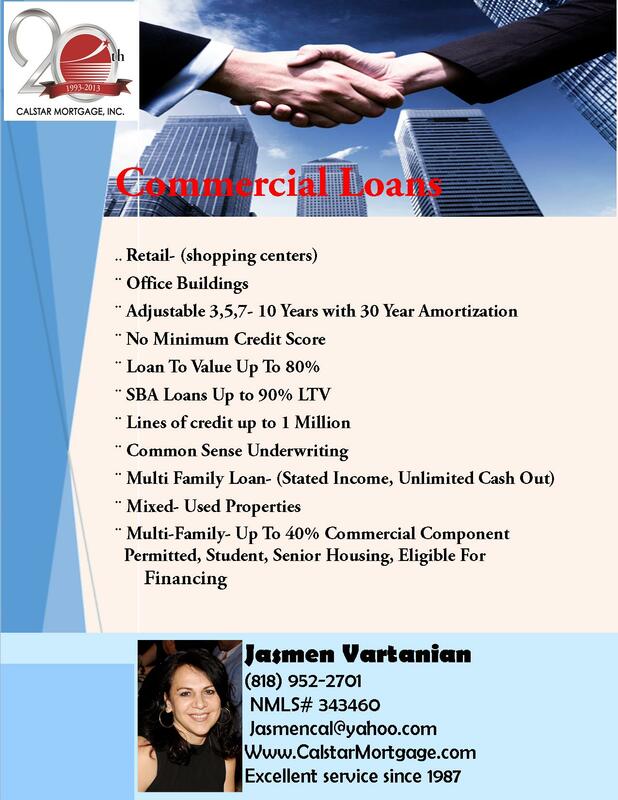 Contact us today at (818) 952-2815 for more information on jumbo loans or to begin the pre-qualification process. CalStar Mortgage, Inc is located in La Canada Flintridge, and serves surrounding areas including Beverly Hills, West Hollywood, Encino, Sherman Oaks, and all of California.